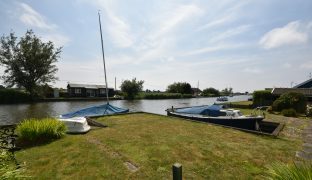 Detached south facing two bedroom riverside bungalow with approximately 59ft of quay headed frontage, private slipway and a 25ft private mooring dock on the River Thurne. 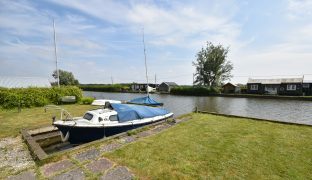 A detached south facing two bed riverside bungalow with approximately 59ft of quay headed frontage directly onto the River Thurne. 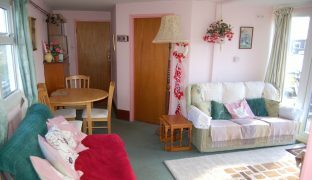 Accommodation comprises kitchen, shower room, living room and two double bedrooms. 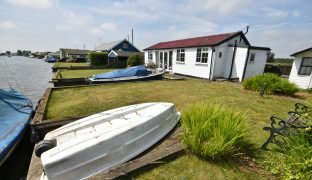 Features include partial UPVC sealed unit double glazing, full UPVC exterior cladding, a private slipway and a 25ft private mooring dock. 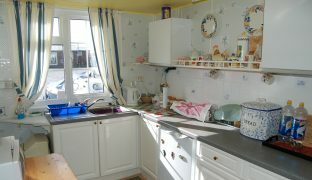 Kitchen: 12’5″ x 6’7″ – Range of wall and floor mounted storage units with sink unit and drainer. Electric cooker point. Window to front aspect looking out over the river, door to side, exposed wooden floor, built in cupboard with hot water tank. Shower Room: Low level w/c, wash basin, tiled shower cubicle, partially tiled walls, tiled floor. 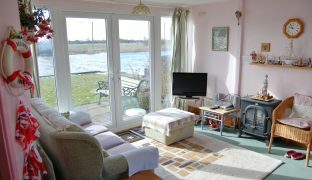 Living Room: 13’5″ x 11’3″ (18.5 max) – French doors to front aspect with river views. Window to rear looking out over open countryside, TV point, telephone point. 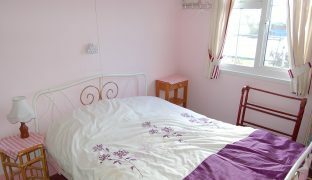 Bedroom 1: 13’4″ x 8’6″ – Window to front aspect, vanity wash basin with tiled splash back, telephone point. Bedroom 2: 8’3″ x 6’9″ – Window to front aspect. 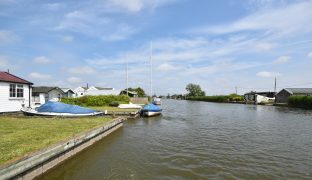 The Fens offers quay headed river frontage that extends to approximately 59ft and includes a slipway and a private mooring dock that measures 25′ x 9’4″. 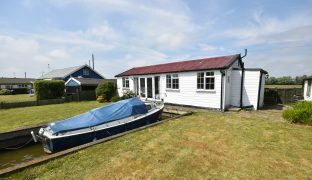 The garden is laid to lawn with outside lighting and a timber shed. 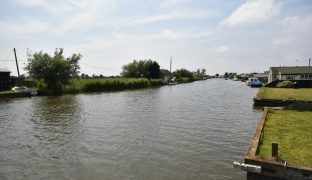 Access to this property is by footpath or river only. 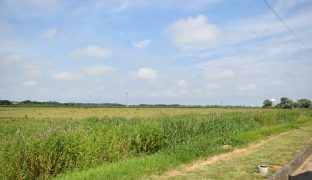 Car parking is available to rent in Potter Heigham. 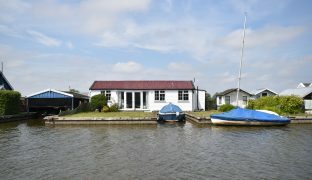 Contents and day boat available by separate negotiation.